Former Attorney General Eric Holder said today that a “possibility exists” for the Justice Department to cut a deal with former NSA contractor Edward Snowden that would allow him to return to the United States from Moscow. In an interview with Yahoo News, Holder said “we are in a different place as a result of the Snowden disclosures” and that “his actions spurred a necessary debate” that prompted President Obama and Congress to change policies on the bulk collection of phone records of American citizens. Holder’s comments came as he began a new job as a private lawyer at Covington & Burling, the elite Washington law firm where he worked before serving as the nation’s top law enforcement officer from February 2009 until last April. In that capacity, Holder presided over an unprecedented crackdown on government leakers, including the filing of a June 2013 criminal complaint against Snowden, charging him with three felony violations of the Espionage Act for turning over tens of thousands of government documents to journalists. Holder had previously said — in a January 2014 interview with MSNBC — that the U.S. would be willing to “engage in conversation” with Snowden and his lawyers were he willing to return to the United States to face the charges, but ruled out any granting of clemency. But his remarks to Yahoo News go further than any current or former Obama administration official in suggesting that Snowden’s disclosures had a positive impact and that the administration might be open to a negotiated plea that the self-described whistleblower could accept, according to his lawyer Ben Wizner. 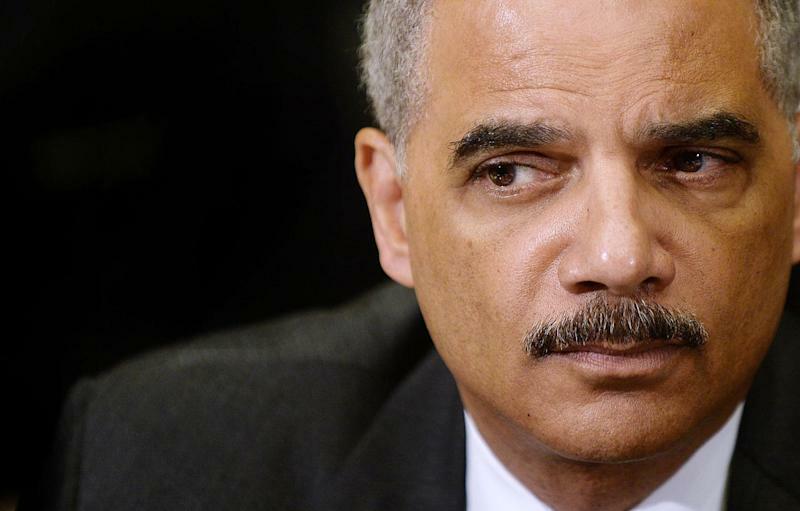 Holder declined to discuss what the outlines of a possible deal might consist of, saying that as the former attorney general, it would not be “appropriate” for him to discuss it. It’s also not clear whether Holder’s comments signal a shift in Obama administration attitudes that could result in a resolution of the charges against Snowden. Melanie Newman, chief spokeswoman for Attorney General Loretta Lynch, Holder’s successor, immediately shot down the idea that the Justice Department was softening its stance on Snowden. “This is an ongoing case so I am not going to get into specific details but I can say our position regarding bringing Edward Snowden back to the United States to face charges has not changed,” she said in an email. Three sources familiar with informal discussions of Snowden’s case told Yahoo News that one top U.S. intelligence official, Robert Litt, the chief counsel to Director of National Intelligence James Clapper, recently privately floated the idea that the government might be open to a plea bargain in which Snowden returns to the United States, pleads guilty to one felony count and receives a prison sentence of three to five years in exchange for full cooperation with the government. But Wizner, Snowden’s lawyer, said any felony plea by Snowden that results in prison time would be unacceptable to his client. “Our position is he should not be reporting to prison as a felon and losing his civil rights as a result of his act of conscience,” he said. Moreover, any suggestion of leniency toward Snowden would likely run into strong political opposition in Congress as well as fierce resistance from hard-liners in the intelligence community who remain outraged over his wholesale disclosure of highly classified government documents. Those feelings have, in some ways, been exacerbated by Snowden’s worldwide celebrity that recently prompted him to enter into an arrangement with a speaker’s bureau that has allowed him to give paid talks to worldwide audiences via Skype from his apartment in Moscow. “I’m quite stunned that we would be considering any return of Snowden to this country other than to meet a jury of his peers, period,” said Michael Hayden, former director of both the NSA and CIA under President George W. Bush, when asked about Holder’s comments. What Snowden did, however, “was the greatest hemorrhaging of legitimate American secrets in the history of the republic, no question about it,” Hayden added. Whatever happens, Snowden’s legal fate won’t be in Holder’s hands. In the interview, he said he planned to concentrate on giving “strategic advice” to corporate clients at Covington — but no lobbying — while also engaging in significant pro bono work, including starting a foundation to promote issues such as criminal justice reform.